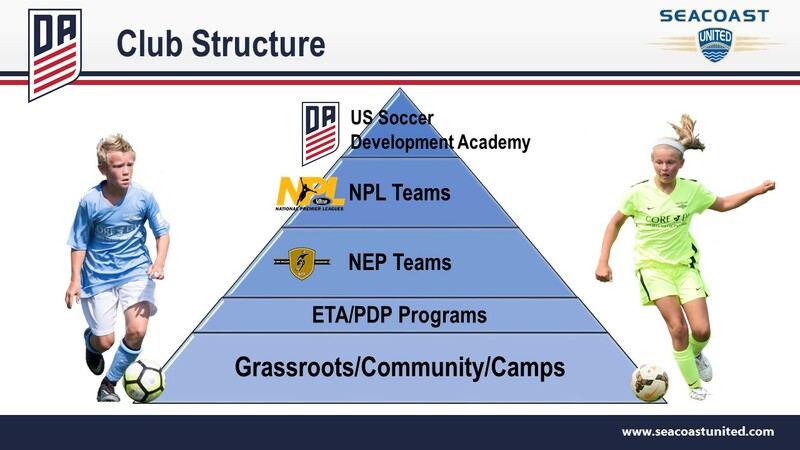 Seacoast United Azzurri serves Saugus, Lynnfield, Malden, Melrose & Reading MA area, providing a player orientated development pathway for our athletes on and off the field. Established in 2009 as Boston Azzurri, our mission is to develop technically skilled play makers, while fostering creativity, confidence, leadership and positive communication.. All Seacoast United Azzurri club teams, are part of the overall Seacoast United organization, which fields teams within the US Soccer Development Academy, New England National Premier Leagues, and the New England Premiership. Seacoast United soccer club teams operate in a "pool system", allowing for player movement throughout the course of the year. Players are challenged in a fast-paced environment, providing the opportunity to express themselves in both training and on game day. To learn more about Seacoast United Azzurri, please contact info@BostonAzzurri.com.